On the 8th (Mon), kick back and relax at Kitsilano Beach. Get ready for a full day of sightseeing on the 9th (Tue): stroll around Stanley Park and then explore the striking landscape at Vancouver Seawall. To see more things to do, reviews, ratings, and other tourist information, you can read our Vancouver online trip planner . Dallas, USA to Vancouver is an approximately 8-hour flight. You can also do a combination of flight and shuttle; or drive. The time zone difference when traveling from Dallas to Vancouver is minus 2 hours. When traveling from Dallas in July, plan for colder days and a bit cooler nights in Vancouver: temperatures range from 75°F by day to 59°F at night. Finish up your sightseeing early on the 10th (Wed) so you can travel to Central Saanich. Central Saanich is a district municipality in Greater Victoria and a member municipality of the Capital Regional District. 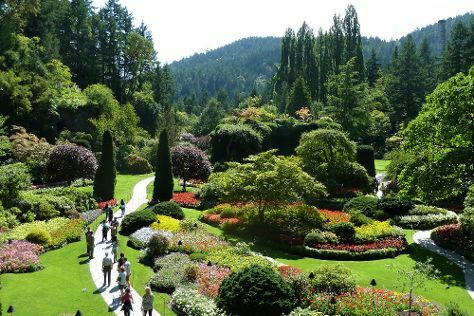 On the 11th (Thu), explore the galleries of Victoria Butterfly Gardens, admire all the interesting features of The Butchart Gardens, and then trek along Lochside Regional Trail. For where to stay, other places to visit, reviews, and tourist information, go to the Central Saanich journey website . Do a combination of flight and bus from Vancouver to Central Saanich in 2 hours. Alternatively, you can do a combination of car and ferry; or fly. In July in Central Saanich, expect temperatures between 77°F during the day and 56°F at night. Finish your sightseeing early on the 11th (Thu) to allow enough time to travel to Jasper National Park. Jasper National Park is known for nature, scenic drive, adventure, trails, and spas. 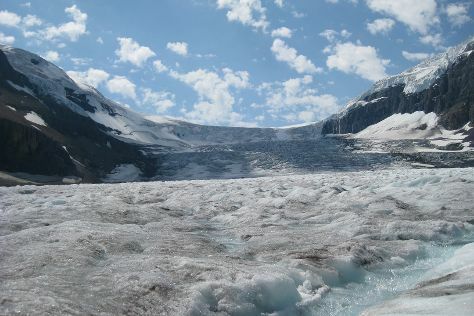 Your plan includes some of its best attractions: cruise along Columbia Ice Field, trek along Mount Edith Cavell Trail, head outdoors with Lac Beauvert, and take in the dramatic scenery at Athabasca Falls. For other places to visit, photos, traveler tips, and more tourist information, use the Jasper National Park trip planner. Do a combination of flight and bus from Central Saanich to Jasper National Park in 9.5 hours. Alternatively, you can do a combination of ferry and car; or do a combination of flight, bus, and train. The time zone difference when traveling from Central Saanich to Jasper National Park is 1 hour. Traveling from Central Saanich in July, you can expect nighttime temperatures to be little chillier in Jasper National Park, with lows of 45°F. Wrap up your sightseeing on the 14th (Sun) early enough to take a shuttle to Banff National Park. On the 15th (Mon), appreciate the extensive heritage of Fairmont Chateau Lake Louise, explore the activities along Lake Louise, and then contemplate the waterfront views at Moraine Lake. On the next day, cruise along Icefields Parkway and then contemplate the waterfront views at Peyto Lake. 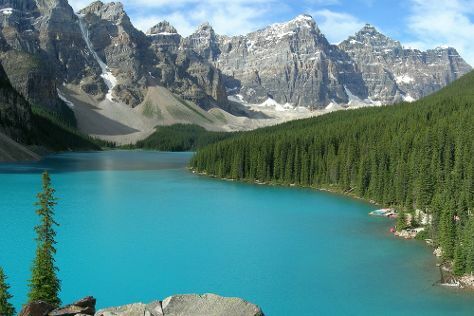 To see more things to do, reviews, and other tourist information, read our Banff National Park travel planner . Take a shuttle from Jasper National Park to Banff National Park in 3 hours. Alternatively, you can drive. Traveling from Jasper National Park in July, expect nights in Banff National Park to be about the same, around 42°F, while days are a bit cooler, around 71°F. Finish up your sightseeing early on the 16th (Tue) so you can travel to Montreal. Start off your visit on the 17th (Wed): take in nature's colorful creations at Montreal Botanical Garden, pause for some serene contemplation at Notre-Dame Basilica, and then contemplate in the serene atmosphere at Saint Joseph's Oratory of Mount Royal. Get ready for a full day of sightseeing on the next day: hunt for treasures at Jean-Talon Market and then don't miss a visit to Old Montreal. To see ratings, other places to visit, and more tourist information, you can read our Montreal trip maker website . Traveling by combination of shuttle and flight from Banff National Park to Montreal takes 11 hours. Alternatively, you can do a combination of shuttle, flight, and train; or drive. You'll lose 2 hours traveling from Banff National Park to Montreal due to the time zone difference. While traveling from Banff National Park, expect somewhat warmer days and much hotter nights in Montreal, ranging from highs of 78°F to lows of 64°F. Wrap up your sightseeing on the 18th (Thu) early enough to travel to Toronto. Start off your visit on the 19th (Fri): take in the spiritual surroundings of St James Anglican Cathedral, then take a stroll through The Distillery District, then enjoy breathtaking views from CN Tower, and finally get up close and personal with brilliant marine life at Ripley's Aquarium Of Canada. Get ready for a full day of sightseeing on the next day: contemplate in the serene atmosphere at St Michael's Cathedral Basilica, step into the grandiose world of Casa Loma, and then see the interesting displays at Royal Ontario Museum. 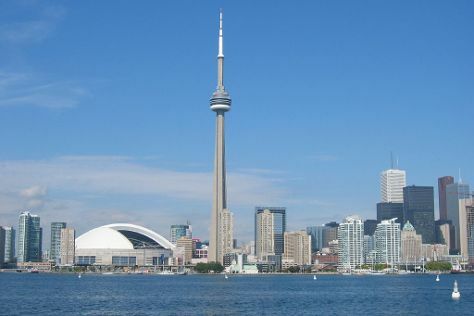 Planning Toronto trip won't be overwheling when you use's Insprock itinerary maker. Getting from Montreal to Toronto by flight takes about 3.5 hours. Other options: do a combination of flight and bus; or drive. In July, plan for daily highs up to 80°F, and evening lows to 64°F. Finish your sightseeing early on the 20th (Sat) so you can drive to Niagara Falls. On the 21st (Sun), take in panoramic vistas at Skylon Tower, then take in the dramatic natural features at Journey Behind the Falls, then don't miss a visit to Horseshoe Falls, and finally test your problem-solving skills at popular escape rooms. Get ready for a full day of sightseeing on the 22nd (Mon): get to know the fascinating history of White Water Walk and then take in the dramatic scenery at Niagara Falls. To see traveler tips, photos, more things to do, and more tourist information, go to the Niagara Falls trip itinerary website . Traveling by car from Toronto to Niagara Falls takes 1.5 hours. Alternatively, you can take a bus; or take a train. In July in Niagara Falls, expect temperatures between 81°F during the day and 63°F at night. Cap off your sightseeing on the 22nd (Mon) early enough to travel back home.